Development advocates are now asking the Legislature in the 2017 session to help cities in Southern Nevada and statewide pay for the extension of water, sewer, power, telecommunications and other utilities to industrial sites primed for development. 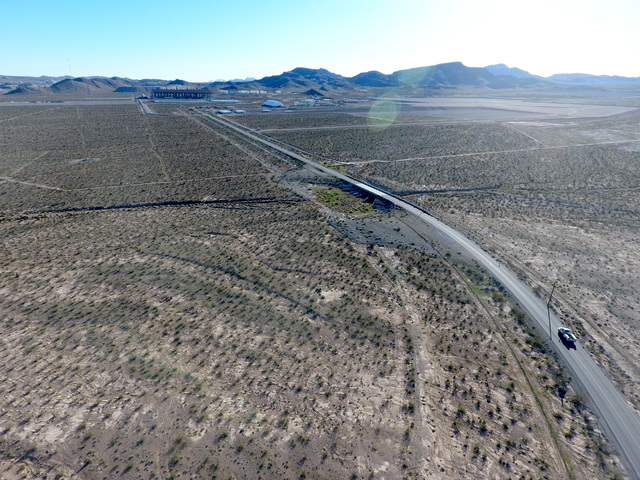 A lack of infrastructure extending to the Apex Industrial Park in North Las Vegas has long hampered its development, and additional job creation to diversify the state’s economy. Apex’s problem was addressed in a 2015 special session of the Nevada Legislature for funding infrastructure as part of luring Faraday Future’s electric car plant to the industrial park. Development advocates are now asking the Legislature in the 2017 session to help cities pay for the extension of water, sewer, power, telecommunications and other utilities to industrial sites primed for development. No bill has been finalized at this time, but the concept has the backing of municipalities and business leaders who have urged the Legislature to create a so-called infrastructure bank. That means developing a program in which funding is used to construct infrastructure at those business parks seen as the most promising. Previous studies, like ones done for the Las Vegas Global Economic Alliance, show Southern Nevada is losing company relocations to other states because they can’t find affordable developable space. By one estimate, Southern Nevada missed out on about 150 businesses and 18,000 jobs over one 12-month period, said Mike Majewski, a former economic development director in North Las Vegas and consultant who proposed the initiative. In 2015, the performance-based incentive package passed in the Legislature authorized about $120 million of planned rail, water and road improvements at Apex. The bill authorized $215 million in tax breaks over 20 years for Faraday, according to Anthony Ruiz, senior director of communications and public affairs for the LVGEA, a nonprofit that promotes economic diversification in Clark County. “I think everyone realizes the importance of bringing infrastructure into Apex, not only to make it ready for Faraday Future, but for additional development,” Ruiz said. As part of the deal, a minimum of half of the workers at Faraday are required to be Nevada residents, Ruiz said. If Faraday meets its goal of hiring 4,500 workers, it will receive a tax credit of $9,500 per employee. In addition, the company will pay enhanced abatements into a trust, to be returned when the $1 billion investment threshold is reached, he said. Majewski said the history of Southern Nevada has been one of growth paying for itself. That concept works well when it involves residential subdivisions because once infrastructure is extended to the site, homes can be built and sold, meaning there’s a return on investment. With industrial parks, however, that money has to be patient, Majewski said. Developers on private land or cities on city-owned property would need to extend infrastructure that might be a mile or two away and can cost millions of dollars without knowing exactly when the development will take place. In November, Amazon announced it’s building an 800,000-square-foot fulfillment center in North Las Vegas and will hire 1,000 people. The site near North Lamb Boulevard and Interstate 15 was ready to go, Majewski said. “If you didn’t have that one site that was available in North Las Vegas, many companies aren’t going to wait and take time and spend months going through design and construction of infrastructure off-site,” Majewski said. Majewski said he could see a state infrastructure fund of about $20 million to $30 million with an application process in which cities throughout Nevada could apply on behalf of properties they own or those of private developers. Sites that are master-planned and ready to lure companies in a prompt timeline would be selected, he said. Doling out funds would include a screening process with a cost-benefit analysis to determine when the infrastructure bank could be repaid with interest and, in addition, odds that it would be developed quickly, Majewski said. “It was on everybody’s mind, and nobody was running with it, and so I decided to float something out there,” Majewski said. The concept has won the backing of the Southern Nevada Forum, a group of business, political and civic leaders outlining an agenda for the current legislative session. 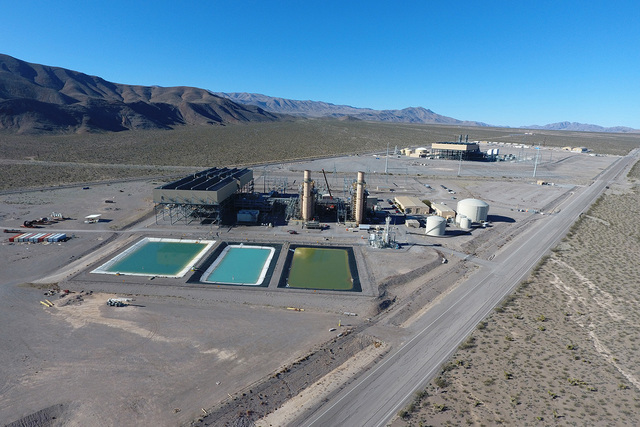 John Restrepo, principal of RCG Economics, which has done studies on behalf of the LVGEA, said there are about 9,000 acres in Southern Nevada that could be used for industrial development. Extending infrastructure to sites prime for development will help keep the region from losing relocations to Phoenix, Salt Lake City or the Inland Empire in Southern California, where land is cheaper and ready to go, he said.